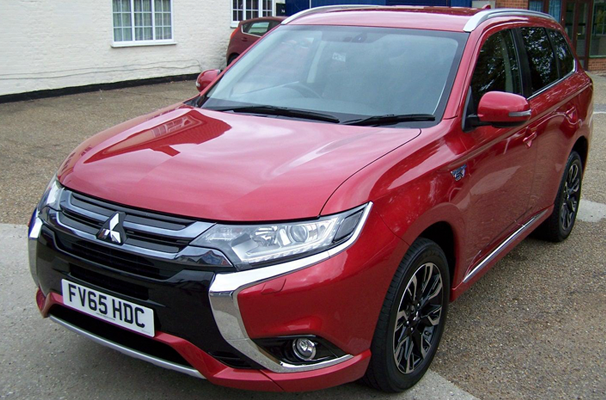 (65) Mitsubishi Outlander 2.0 (119bhp) 4X4 (5st) CVT GX3h+ PHEV in red. This lovely car is an award winning 4 wheel drive vehicle which is highly efficient, low emissions and tax free!!!. It has half leather interior with bluetooth technology, electric windows, 12v power point in the centre console, rear parking sensors, climate control, folding mirrors, central locking, cruise control, hands free, tinted windows, 18 inch alloy wheels and the best part… it has heated seats for those cold winter mornings that are coming. 40k mileage and in very good condition.